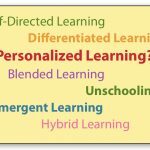 You are here: Home › Uncategorized › Personalized Learning Now a ‘Disruptive Force’ in Education! Last August I wrote that Personalized Learning was a “rising tide” in North American schools and districts. Specifically, I said that, thanks to new insights from science and psychology and new trends in IT and social media – all of which were starting to coalesce in K-12 education, “the Genie” was out of the bottle,” and education had a new, emerging purpose. It’s time to update that opinion: Today, reflecting education trends across North America, Personalized Learning has grown to be a ‘disruptive force’, matched only in the past two decades by the influence of the ‘Digital Revolution’ on conventional education. Across the US, entire districts and many public and private charter schools are wading in. In some cases, individual states are dabbling with PL and considering how to proceed. In other words, the future of K-12 education is coming into sharper focus, and it’s personalized. If the pulse of ‘Free’ and ‘Open’ schools’ that gripped education the 1960s and 70s was carried along on a dream and goodwill as much as anything, Personalized Learning is grounded on a much more solid substrate to develop and grow. From New Hampshire to British Columbia, Wisconsin to California, educational authorities in 2016 and 2017 have convened conferences and webinars, created magnet and resource schools, and provided PD time for educators and administrators to share insights and brainstorm – all focused on PL. The wave is additionally supported by new resources – books, white papers, and tech breakthroughs – all of which point to the feasibility of embracing PL and the irreversibility of its appearance. A synchronization of timing and fit have a lot to do with this. Those sentiments are echoed in another 2016 book, Counting What Counts; Reframing Education Outcomes (Learning Tree Press) edited by long-time PL advocate and acclaimed education author Yong Zhao. In this book Zhao asserts that future prosperity is linked to nurturing of individual strengths and talents and so schools need to transform their near-obsessive focus on cognitive knowledge and provide equal time for nurturing and assessing the growth of such character traits as curiosity and creativity, among others. Another new publication, Students at the Center by Alison Zmuda and Bena Kallick (ASCD, 2017), focuses on a PL model based on four attributes: student voice, co-creation, social construction and self-discovery with an overall goal of empowering self-directed learning in students. 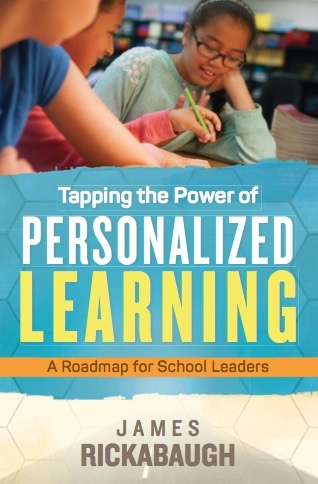 Like Tapping the Power of Personalized Learning, Students at the Center provides much granular advice for educators and administrators on PL design, practice and assessment. All accolades for these resources aside, I also perceive some anxiety in these books, and other resources, reflecting either a lack of personal experience in leading PL experiences, or an over-reaching attempt to ‘cover it all’. My own many experiences and years of leading PL lead me to believe the success of seeding and nurturing PL lie far less in such over-reach and more into relaxing into it, to better recognize and nurture the myriad facets of PL as it arises for learners. To my mind, the soundest approaches would have educators grounded in their own PL experiences, first, from which they can more confidently steward PL in others. With this in mind, I’m pleased to announce the initiation of the Personalized Learning Academy, via the US-based SelfDesign Foundation (The SelfDesign Foundation also oversees the SelfDesign Graduate Institute, based in Washington state [I’m on the faculty]). The PLA initiative, now in development, will see myself and others providing practical guidance for aspiring PL educators and administrators, reflecting our professional experiences leading and seeding PL for over 25 years. Please stay tuned for news about a forthcoming webinar and course via the Personalized Learning Academy.